Here’s another recipe from the book, and it’s one of my favourites. I tasted it first at an ice cream shop in Boston, and I didn’t expect to like it half as well as I did. Now, as I play around with the ice cream and learn more about chemistry, I know that the tannins in tea cut sweetness. Earl Grey tea generally has a mix of different black teas, including Darjeeling and China tea, but it is the bergamot that really make it distinctive. 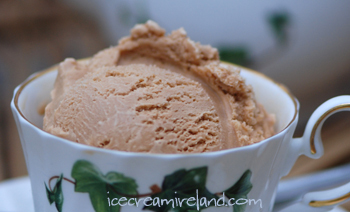 If you want an adult ice cream that will surprise your guests, this is one to try. It’s especially fantastic with a chocolate cake! 6 Earl Grey tea bags or the loose leaf equivalent. Add the tea and allow to sit for 10 minutes. Bring back to a low simmer, stir, and remove the tea bags. Thank you very much for sharing your great ice-cream recipe. I love tea so much and want to try it out soon. I have never whipped the cream before pouring into ice-cream machine. I thought this step is just for making by hand without a machine. Could you please tell me what is this step for? Thanks! Also, how many grams or tablespoon are in 6 bags of Earl Grey tea? I only have a box of 100g Earl Grey. Please please please, can you put this as a special in your Killarney and Dingle shops? Gosh, Earl Grey has always been one of my favorite teas. 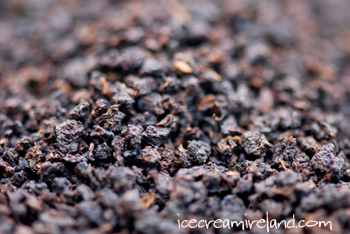 Even when I was growing up and my grandparents had some in the afternoon, I found the smell of the tea brewing mesmerizing 🙂 I never even thought that you could make it into ice cream! This I’ll have to try. 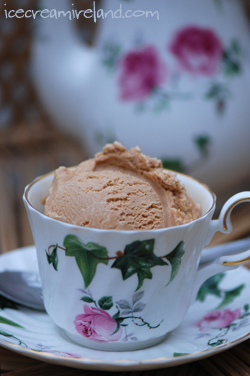 It makes sense though: if you can make coffee ice cream, why not tea ice cream? When life gets back to normal and the mad rushing around ceases I’ll give this one a go!